Paris is one of the most beautiful cities on earth. It is the cosmopolitan capital of France and one of the largest agglomerations in Europe. Located in the north of France on the river Seine, Paris has the reputation of being the most romantic of all cities, brimming with historic associations and remaining vastly influential in the realms of art, fashion, food and design. Dubbed as the City of Light, a large part of the city, including the River Seine, is a UNESCO World Heritage Site. The city has the second highest number of Michelin-restaurants in the world (after Tokyo) and contains numerous iconic landmarks, such as the world’s most visited tourist site, the Eiffel Tower, the Arc de Triomphe, the Notre Dame Cathedral, the Louvre Museum, Moulin Rouge, etc. making it the most popular tourist destination in the world with 45 million tourists annually. Lisieux is considered the second most important pilgrimage town in France, thanks to its 19th-century saint, Therese Martin. St. Therese joined the Carmelite nunnery at the age of 15, by special dispensation. 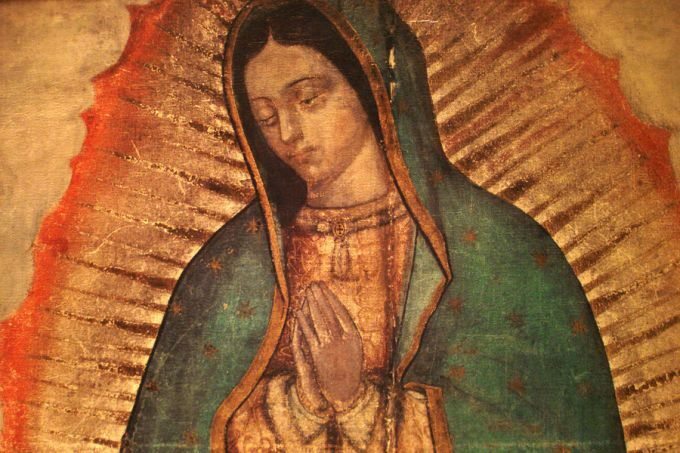 Not just because of her exemplary pious life, but also because of her clear writings on faith, she became one of the best-loved Catholic figures of her century. She died young, having achieved a great deal. In the 1920s, she was made a saint, as Sainte-Thérèse de l’Enfant Jésus. In 1997, Pope John Paul II declared her just the 33rd Doctor of the Catholic Church because of her spiritual writings – at the time, she was the only woman to be given the exceptional title. 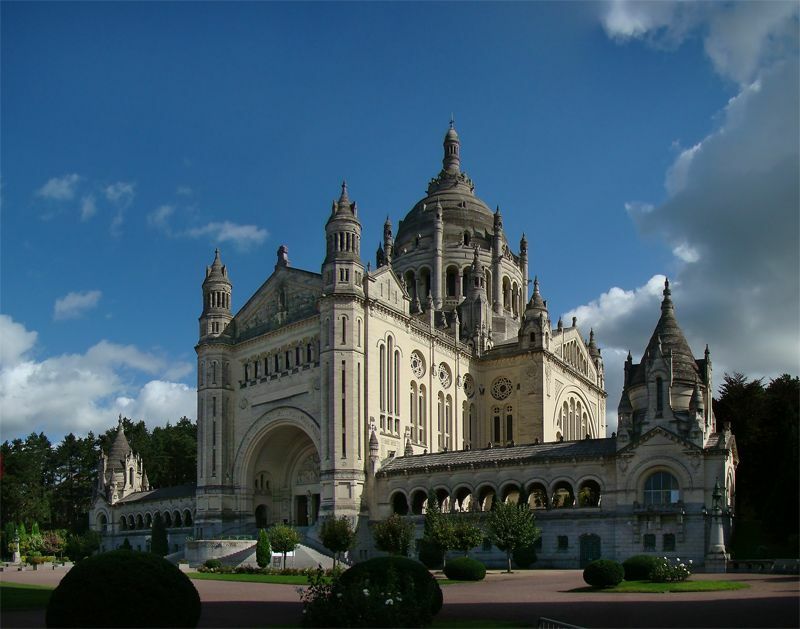 The Basilique Sainte-Therese is the largest church built in France in the course of the 20th century. This enormous domed edifice stands out on the hillside above town. The interiors, visited by hundreds of thousands of pilgrims every year, are dazzlingly ornate, decorated in neo-Byzantine style. 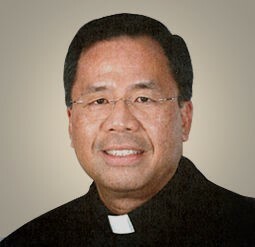 There are sections on the saint’s life and on the Carmelite Order. Bordeaux is a port city on the Garonne in Southwestern France. 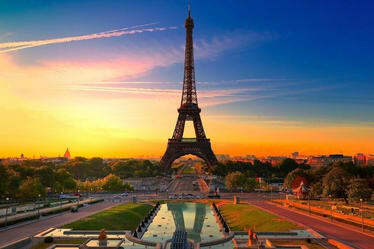 It is France 6th largest city and is among Europe’s most exciting places to visit. 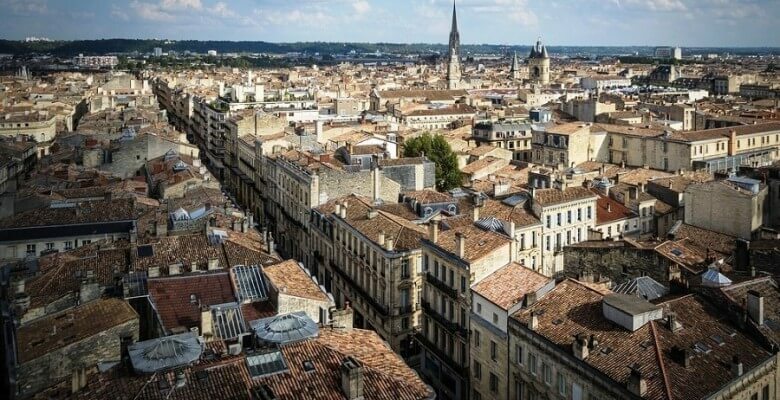 Being at the center of a major wine-growing and wine-producing region, Bordeaux remains a prominent powerhouse and exercises significant influence on the world wine industry although no wine production is conducted within the city limits. Bordeaux wine has been produced in the region since the 8th century. The historic part of the city is on the UNESCO World Heritage Lists as “an outstanding urban and architectural ensemble” of the 18th century. After Paris, Bordeaux has the highest number of preserved historical buildings of any city in France. Bartrès is a commune in the Hautes-Pyrenees department in southwestern France. The village is famous for its association with St. Bernadette Soubirous. St. Bernadette was sent there in her infancy to a wet nurse, and again in her early teens to work for the same lady as a shepherdess. 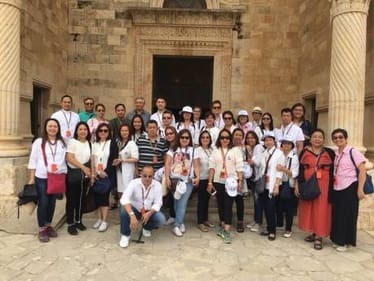 Today, the village is visited by numerous pilgrims who come to pray at the village church and venerate a relic of the saint. Lourdes is the largest Catholic pilgrimage destination in France and one of the most popular Catholic shrines in the world. 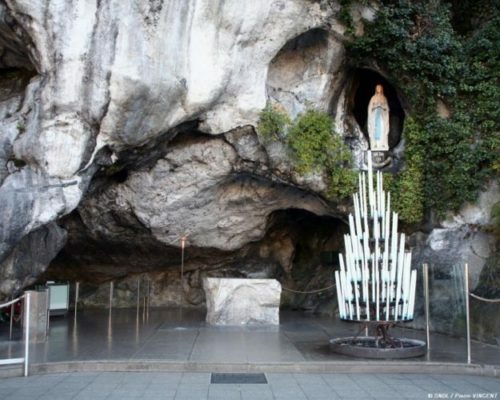 The most sacred site at the Sanctuary of Our Lady of Lourdes is the Grotto of Massabielle, also known as the Miraculous Cave or the Cave of Apparitions. The Grotto of Massabielle is the site of St. Bernadette’s vision of the Virgin Mary where she revealed herself as the Immaculate Concepcion. The Virgin Mary is said to have pointed out a previously undiscovered spring in the grotto and instructed St. Bernadette to “Go and drink at the spring and wash there.” The spring water from the grotto is believed to possess healing properties and to date, seventy cures have been officially recognized as miraculous by the Roman Catholic Church. The Grottes de Betharram are a series of French caves located at the border of the Pyrenees-Atlantiques and Hautes-Pyrenees departments and of the Nouvelle-Aquitaine and Occitanie regions. The caves comprise four fossilised levels and an active level. There are very many concretions in a variety of forms and remarkable effects caused by erosion including an exceptional coffered ceiling on the first level. The guided tour begins on the upper level which contains galleries and caves with wonderful formations. The tour then descends 80 metres down a chasm to reach the underground river level. A boat takes you 150 metres along two faults 80 metres deep where the successive levels of the river bed can be seen. You take the little train for the 700 metre underground journey back to the surface. 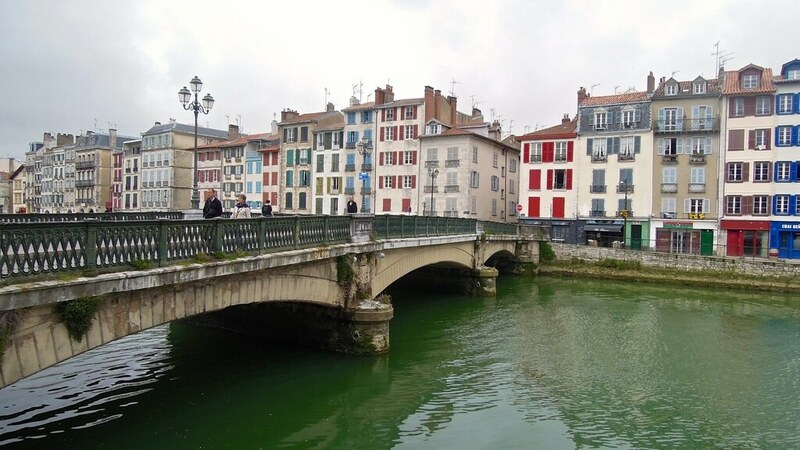 Bayonne lies 10 min from Biarritz and the ocean, 30 min from Spain and 40 min from the foothills of the Pyrenees. Bayonne is a fortified town of 48,000 inhabitants and is crossed by both the Nive and Adour rivers which converge in front of the town hall. Located to the northern coast of the Basque country it stretches 35 km along the Atlantic ocean, Bayonne rubs shoulders with famous resort towns like Biarritz, Anglet, St Jean de Luz and Hendaye as well as the picturesque inland-Basque villages of Aïnhoa, Sare, Espelette and St Jean Pied de Port,… and the unspoiled beauty of the nearby Côte landaise. The Basque Country also extends into neighbouring Spain where you can visit San Sebastián and its Old Quarter, Hondarribia for its first-class tapas, Bayonne’s twin town Pamplona or Bilbao and its famous Guggenheim Museum. Biarritz is a large beachside town on the Bay of Biscay, on the Atlantic coast in the Pyrenees-Atlantiques department of Nouvelle-Aquitaine, in south-west France. 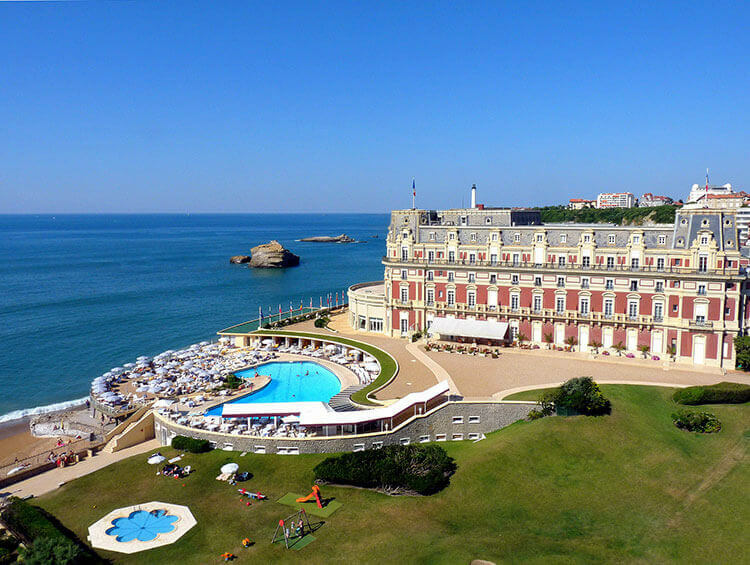 It is known for the Hotel du Palais, built for the Empress Eugenie around 1855, its casinos, and its surfing culture. Biarritz is very pedestrianised, and it is easy to get around the town centre, to the beaches, and to the best spots for surfing or shopping. In a magnificent setting on the Bay of Biscay in France’s Basque country, the celebrated seaside resort of Biarritz is synonymous with elegance and upper-class style. Biarritz was a favourite summertime destination of the Empress Eugénie (wife of Napoleon III), who transformed the sleepy fishing village into a fashionable beach town. To entertain her court, the empress built a grand palace (which has been converted into a luxury hotel). Located south of the Aquitaine region, on the border with Spain, Saint-Jean-de-Luz, resort enjoys an ideal location between sea and mountains. Saint-Jean-de-Luz (in Basque Donibane Lohizune) is a medium-sized town that has maintained its authenticity. One of its advantages is its geographical situation, along the Atlantic ocean and at the foot of the Pyrenees. Another important advantage is its town centre, with its exceptional urban heritage. The inevitable efforts to modernize it overtime have never altered the past architectural heritage, particularly the one from the XVII century. The two treasures from that period are the Infant house and Louis XIV house. Two names in memory of an event we would say today European, the marriage of Louis XIV with the Infant of Spain in 1660 which widely contributed to the national and international fame of the city. 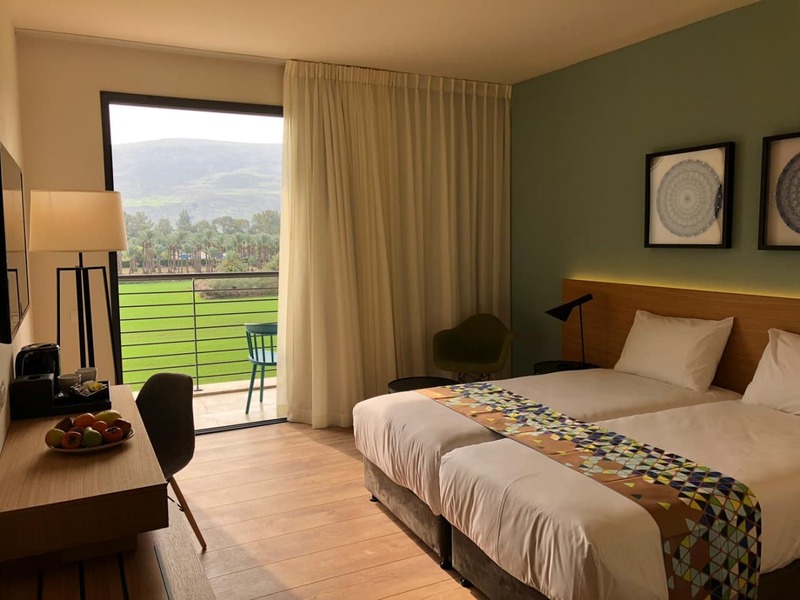 Not only is Hondarribia one of the Basque Country’s most charming towns but it is also packed with a huge number of amazing restaurants and bars – some of the very best in the region in fact. If you are into Basque gastronomy, your trip won’t be complete if you don’t visit Hondarribia. The well-preserved Old Town, a relaxing maritime atmosphere and fantastic food are only some of the reasons why Hondarribia is one of our favorite places in the region. 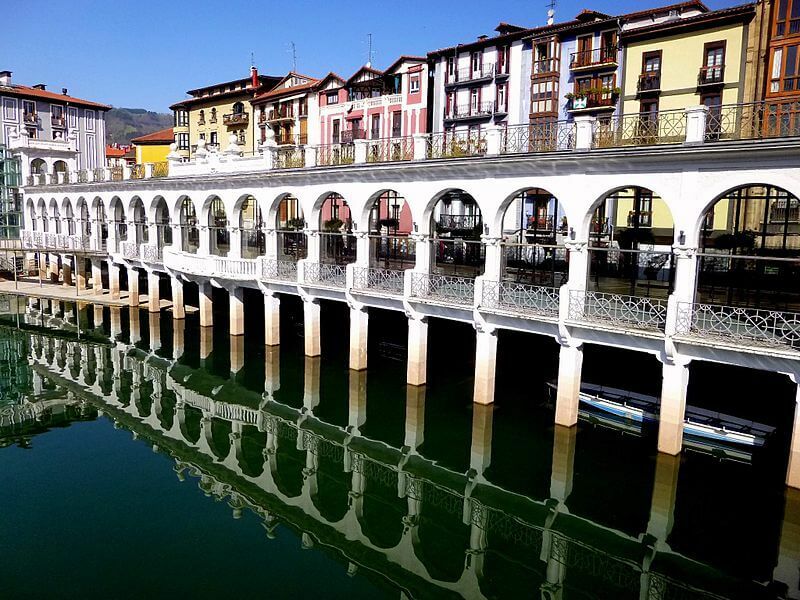 Hondarribia is definitely one of the most beautiful towns in the Basque Country and a real must-see! If you only choose to visit one village in the Basque Country, this is probably the one. Hondarribia (Fuenterrabía in Spanish) is a colorful fishing village that is both rich in architecture as well as in gastronomy. It’s a feast for the eyes and also for the stomach. Besides having an impressive gastronomy scene, Hondarribia also boasts a well-preserved old town that is surrounded by a fortified wall, the only one to be found in Guipuzcoa province. The Old Town is loaded with beautiful Basque houses, most having wooden balconies that are painted in a myriad of colors. In addition to the Basque houses, there are also some baroque buildings thrown into the mix. With its maze of cobble-stoned streets, the Old Town begs to be explored. 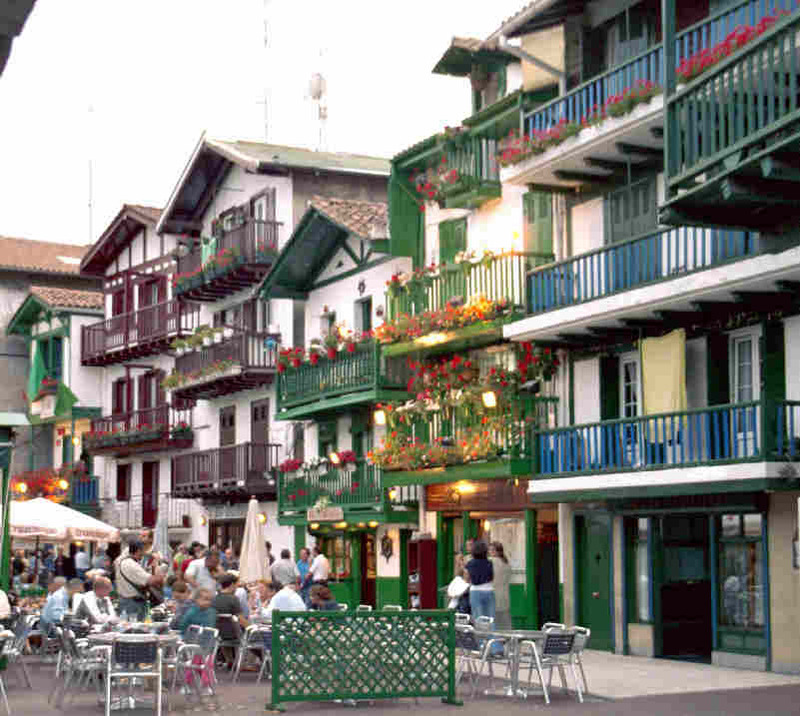 Apart from the Old Town, the other area that must be visited while in Hondarribia is the Marina Neighborhood. This is where most of the bars and restaurants that have made the town famous can be found. The main street that runs through the neighborhood is a pedestrian street, lined with trees, lovely houses, and places to eat. It is a fashionable seaside resort at the mouth of the canalized Urumea River on the Bay of Biscay, east of Bilbao and near the French frontier. The main economic activities are commerce and tourism, and it is one of the most famous tourist destinations in Spain. Despite the city’s small size, events such as the San Sebastian International Film Festival have given it an international dimension. San Sebastian, along with Wroclaw, Poland, was the European Capital of Culture in 2016. It is located in the valley of the river Oria, next by Uzturre, a local mountain topped by a white cross. Once the capital of Gipuzkoa, Tolosa was for centuries a strategic commercial point that connected the interior of the country with the Cantabrian ports due to its location on the Oria River. Wandering the narrow streets of the old town you will discover historical buildings and monuments from its glorious past. The most impressive building is the Santa María church (17th century) in the so-called Basque gothic style. Tolosa is famous for its produce and Saturday market. The Saturday market is probably the largest market in the Basque Country. Farmers from the region gather in Tolosa to sell their local products, always of the highest quality and freshness. And there are many specialities in the area. Bilbao was at one time the wealthiest city in Spain. Its wealth at the beginning of the 20th century due to mining, steel and shipbuilding. Later the city began to move away from industry towards tourism and underwent a major urban renewal. Bilbao was recently proclaimed as the 2018 European City of the year by the Academy of Urbanism. France and Spain are two countries rich in religious traditions, history and culture. Experience France and Spain’s most treasured Catholic shrines and awesome sights. Join a 15-day Pilgrimage to the Shrines and Sights of France and Spain with Fr. 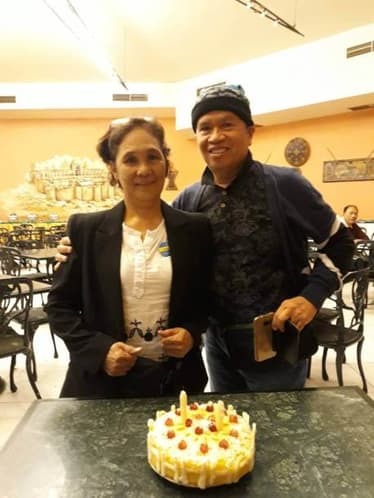 Lito Abad leaving on June 30, 2019. Begin your pilgrimage in the beautiful city of Paris, France. 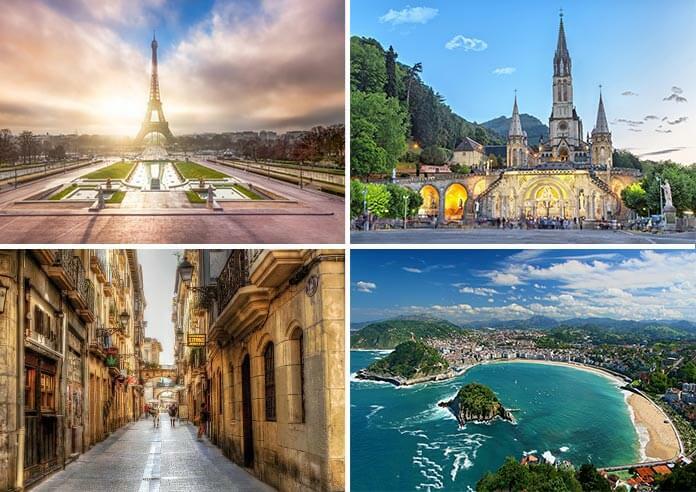 Enjoy a sightseeing tour of the major sights of the city which includes a leisurely drive along Paris’ elegant streets and avenues, and check out renowned sights like the Arc de Triomphe, Champs Elysees, Notre Dame Cathedral and the Place de la Concorde. Stop at the Trocadero Square to take a souvenir shot of the Eiffel Tower. Discover Paris as you have never seen it, gliding under one bridge to another with a view of the finest monuments in the heart of the bustling city on your River Seine cruise. Visit the Chapel of Our Lady of the Miraculous Medal in Rue de Bac. 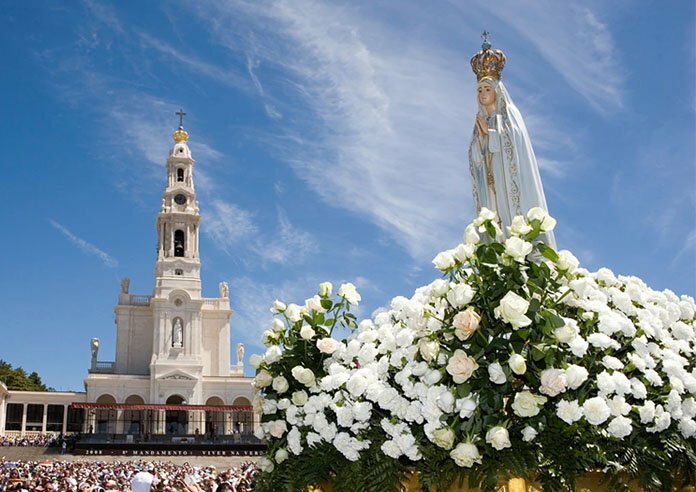 It was here where the Blessed Mother appeared to St. Catherine and advised her to have a medal made where great graces will be received by those who wear it. Not to be missed is a visit to the Louvre museum, home to one of the greatest collection of paintings and sculptures in the world, such as Da Vinci’s famous Mona Lisa. Take a full day excursion to Lisieux, home of St. Therese or “the Little Flower” proclaimed by Pope Pius X as the greatest saint of all times. Celebrate Mass in the Basilica of St. Peter or at the Carmelite Convent where the Saint’s body lies in repose. Leave Paris for Bordeaux, a major wine-growing and wine-producing region. The historic part of the city is on the UNESCO World Heritage List as “an outstanding urban and architectural ensemble of the 18th century. After Paris, Bordeaux has the highest number of preserved historical buildings of any city in France. 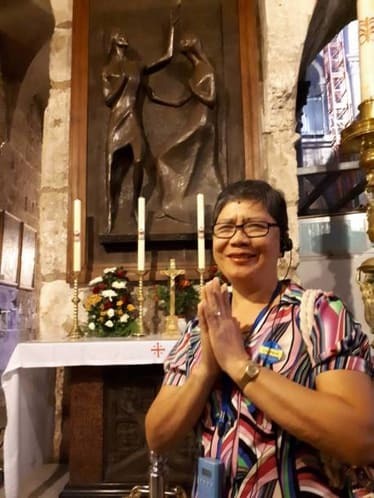 Continue with your pilgrimage to Lourdes to spend two nights at the Sanctuary of Our Lady of Lourdes, a beloved apparition site of the Blessed Virgin Mary in 1858. 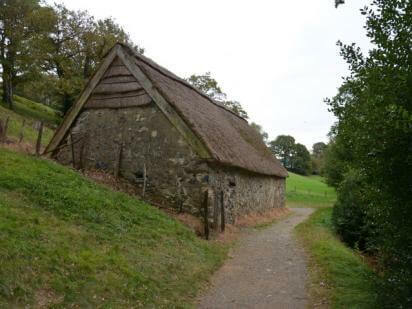 Here, 18 apparitions were reported. Pray the rosary and spend time in quiet reflection at the Grotto of Massabielle, the Blessed Mother’s apparition site. Not to be missed is the evening rosary procession where the “Ave Maria” is sung in unison and the Rosary is recited in different languages. Leave France for Spain to visit St. Jean de Luz. This picturesque beach resort town is where one of the most important political marriages in history took place. On June 9, 1660 Louis XIV married Maria Theresa of Spain at the awe-inspiring Church of St. John Baptist, ending a long and bitter war between France and Spain. Wind down your pilgrimage in the Basque region of Spain. 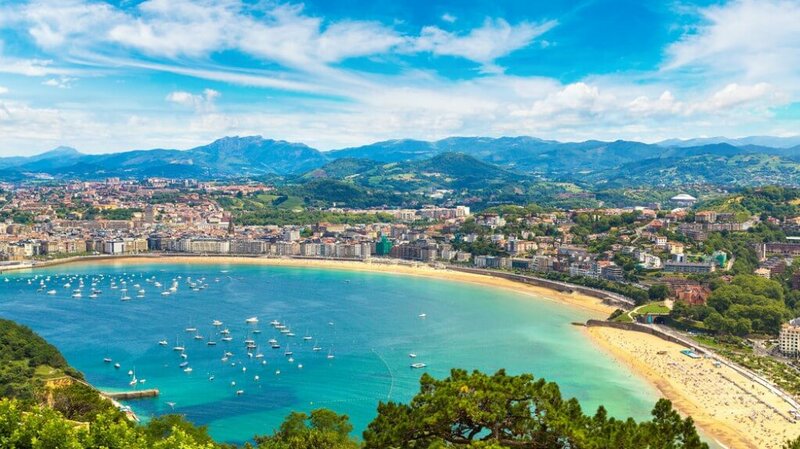 Spend three nights in the alluring gastronomic city of San Sebastian. The city’s delightful beachfront promenade runs the length of the bay, with an intriguing Old Town at one end and a smart shopping district in the center. Not to be missed is a visit to the stunning city of Bilbao, one of the treasures of the Basque Country. 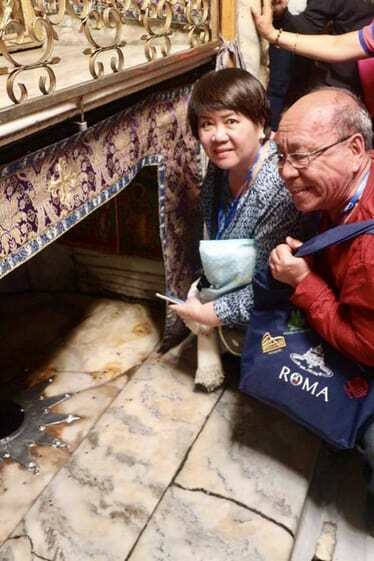 More than pages in a book or words in a prayer, a pilgrimage allows you to experience your faith in a profound way. 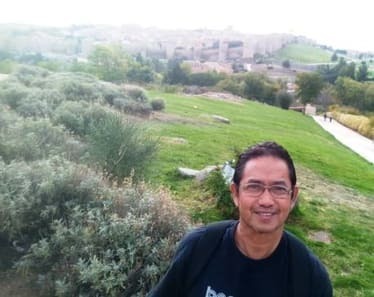 Join a Pilgrimage to the Shrines and Sights of France and Spain with Fr. 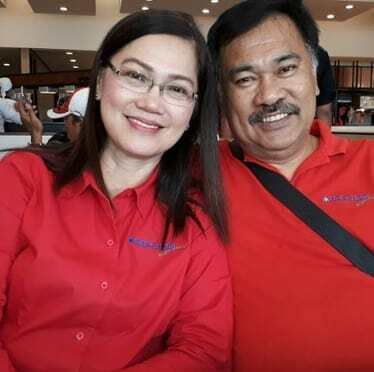 Lito Abad leaving on June 30, 2019. Be prepared to encounter God and be filled with His abundant grace and blessings. The Seine River Cruise allows one to rediscover the full splendour of the river banks and monuments of Paris. San Sebastian is a gastronomic gem. The city claims to fame is having among the highest number of Michelin stars per square mile of any city in the world. Bathe in the BATHS in Lourdes, where water from a spring at the Grotto of Massabielle flows. 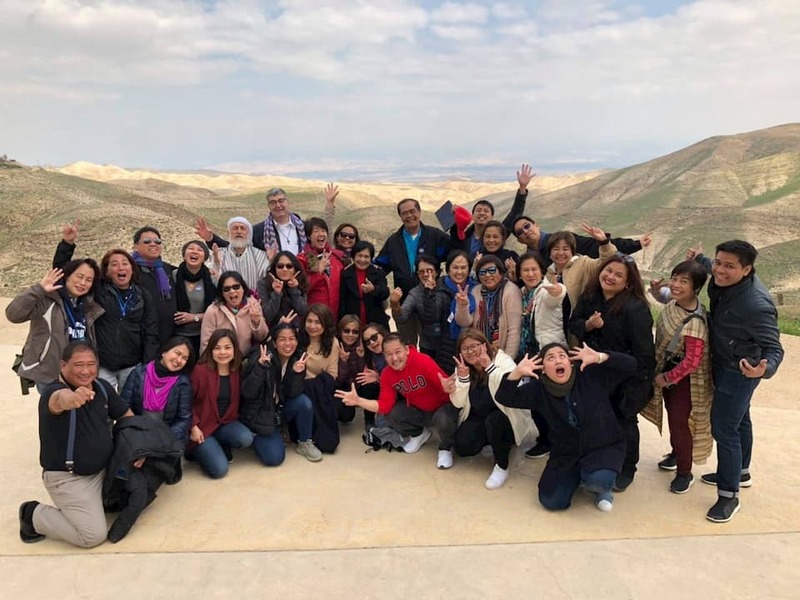 Delight in the picturesque countryside scenery of France and Spain throughout the pilgrimage. Be inspired by the life of St. Therese of Lisieux on your visit to her hometown of Lisieux, where you will experience her extraordinary love for God and service to humanity. Take a delightful cruise on the Garonne River and discover the treasures of Bordeaux along its UNESCO listed waterfront. 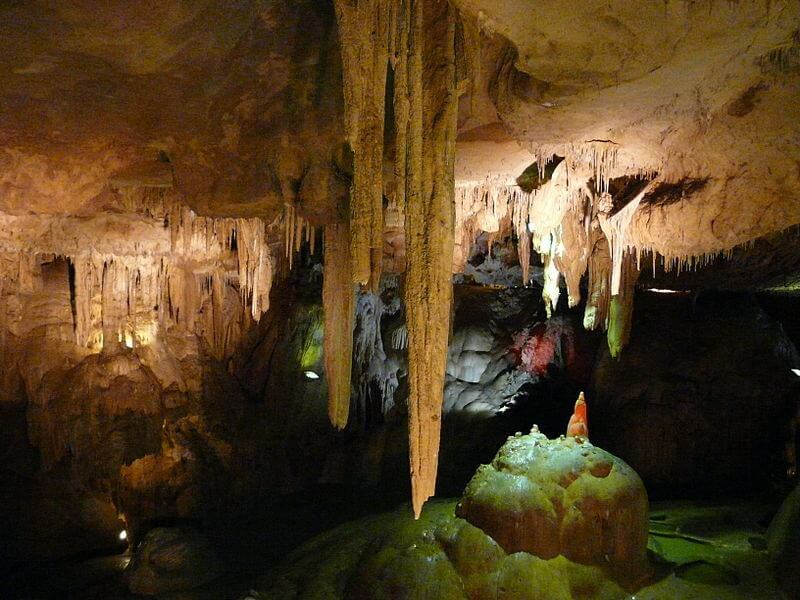 Marvel at the beautiful caves of Betharram where you will discover impressive formations of stalagmites and stalactites, a fairyland of many amazing shapes. 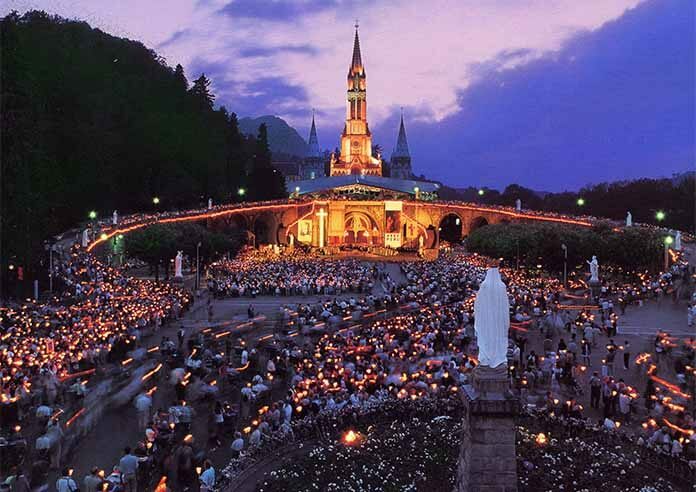 Join the candlelight procession in Lourdes and pray the rosary with thousands of pilgrims said in different languages. 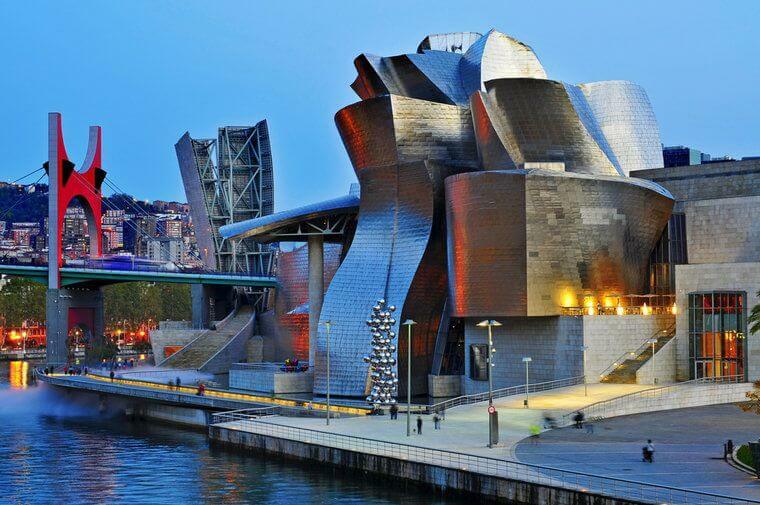 In your free time, you may opt to visit the world-famous Guggenheim Museum in Bilbao. (may be applied in the Philippines but subject for approval by the Embassy). VISA FEE: Php 7,500.00 (Subject to change without prior notice). 1) A US$ 500.00 deposit (for economy) /US$1,000.00 deposit (for business class) is required upon reservation together with a photocopy of a passport (valid for 6 months from date of departure), Pilgrim’s Profile with a passport-size photo, copy of latest arrival stamp in Manila, visa fee (if applicable), and travel insurance payment. 2) Final payment in USD is due on or before June 3, 2019. BASIC TOUR COST DOES NOT INCLUDE: Philippine Travel Tax (Php1,620 or $32.00 ), visa fees and documentation expenses, insurance, hospitalization and other medical expenses, tours and transportation during free periods, porterage of extra pieces of luggage in excess of maximum allocation, drinks and beverages taken during meals, items of personal nature such as laundry, telephone, fax, room service, and other expenses not mentioned in the itinerary terms and conditions.